Economics models are false and so government should ignore their predictions. Explain, discuss and evaluate the accuracy of this statement. 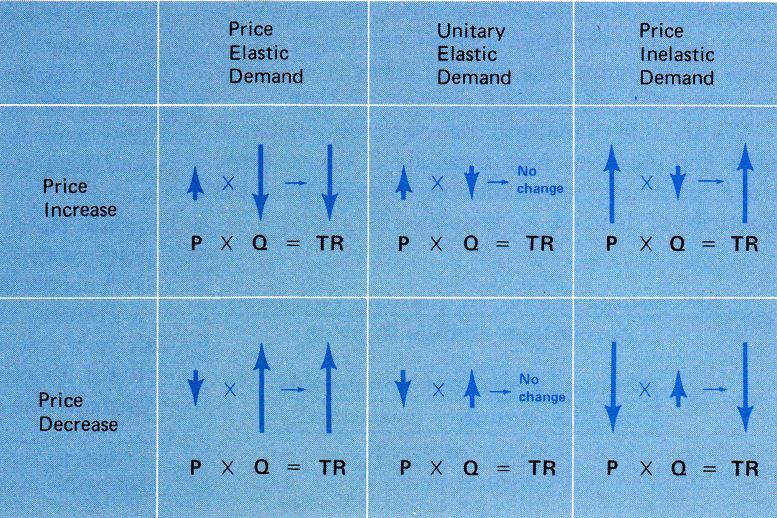 Price Elasticity – Economics models are the tools which economists use to predict future economic developments by measuring past relationships among variables such as household income, consumer spending, employment, interest rates, tax rates etc. and forecasting how changes in some of these variables will affect other variables. An economic model is said to be complete if it can accurately forecast many of the variables future course, however, no economic model can be complete in true sense. There are several forces outside the model that affect the calculation and forecasting of variables. There are two ways by which these outside factors affect the forecasting and economic predictions. The input errors are concerned with inaccurate assumption of outside variables and model errors which explains the deviation of the equation of economic model from the assumption to the actual. Hence, it can be said that economic models are subjective approximations of reality and are designed to explain the observation. Therefore, the model’s predictions should be moderated so that it can accommodate the effect of random data variables (Deming, 2000). Many researchers believe that economic theories and models simply provide ways to look at systems and determine how changes in variables affect the overall outcome. It also explains advantages and disadvantages of various economic models and systems. However, predictions and subsequent policy decisions are made after following value judgement of policymakers or the government. Therefore, the government should view at economic model only as a framework which provide insight of a contextual theory. More empirical evidence and real life economic parameters should be considered while making policy decisions based on economic predictions (Godley & Lavoie, 2006). No economic model can perfectly predict the real future. A good example of the economic model’s failure is to predict the reasons for the global financial crisis of 2008. The prevailing economic model was deficient to provide sufficient attention towards the relationship between demands, wealth, and excessive financial risk taking. There were considerable research which had been conducted to uncover the same and also a new behavioural equation was added to the existing economic models. The true test of the new model will happen when it will effectively flag financial risk levels that would need a precautionary policy change. This is an ongoing process which consist of constructing, testing, and revising models and outside forces so that economists and policymakers can predict the future course of economy (Taylor, 2009). Government neither can overlook economic models’ forecasts nor make predictions completely based on them. It has also been seen that economists seem to put aside political factors outside their equation. Politics among other outside factors is the most important factor that helps to determine the outcome of economic policy. In view of these analysis, it is suggested to use structural models which makes several “what if” economic analysis on several input combinations. In this way, the policymakers would have substantial information on various numerical variables and the forecast can be recalculated whenever required (Diermeier, Eraslan & Merlo, 2003). The “law of demand” suggests that the higher the price of a good, the lesser demand from consumers. This is the fundamental law of all economic models to predict the economic forecasts. In order to predict consumer behaviour in more details, economists use several techniques which evaluate the sensitivity of consumers’ demands with respect to changes in price. The most commonly used technique is known as “price elasticity of demand”. In simple terms, it is the proportionate change in demand given a change in price. For example, if a one unit decline in the price of a product produces a one unit increase in demand for that product, the price elasticity of demand is said to be one (Green, Malpezzi & Mayo, 2005). Numerous studies suggest that the majority of consumer goods and services falls in the price elasticity of between .5 and 1.5. Essential products to everyday living, which have fewer substitutes, typically have lower elasticity for example, staple foods. Since, staples such as cereals are necessities in the diet, and are usually cheaper so that people safeguard their income for spending on such essentials when prices increase. Furthermore, lower income households tend to have higher price elasticity for food items than high income households. As food products occupies a large share of total income in these households, price changes have a substantial impact on the allocation of budget. On the other hand, magnitude of the elasticity for animal source foods such as fish, meat and dairy are higher than staple cereals as these are considered as luxury food items and there are always many substitutes available for consumption of these food choices (Andreyeva, Long & Brownell, 2010). Goods with many substitutes, or are considered luxuries as are not essential, or whose purchase can be easily postponed, have higher elasticity. For example, the demand of automobile is considered as elastic as there are three kind of substitution takes place. In response of a unit price change, consumer of a new car can delay the purchase, or can choose to purchase another category of car or chose not to buy a new car and use another mode of transport. Furthermore, in case of buying a particular model of car, it would be highly elastic demand as there will be a lot of substitutes. On the other hand, demand for cars in rural areas would be inelastic over the longer run. Because there are very few alternative mode of transports available (Parry, Walls & Harrington, 2007). Another example can be taken from health care services, where the demand for health care expenditure is found to be price inelastic. A range of price elasticity estimates it to be -0.17, which means that a one unit increase in the price of health care will lead to a 0.17 unit reduction in health care expenditures. Moreover, the demand for health care is also found to be income inelastic as it is in the range of 0 to 0.2. The positive sign of the elasticity suggests that there will be increase for health care demand as income increases, however the low magnitude of the elasticity indicates that the demand response would be relatively very small (Duarte, 2012). Diermeier, D., Eraslan, H., & Merlo, A. (2003). A structural model of government formation. Econometrica, 71(1), 27-70. Duarte, F. (2012). Price elasticity of expenditure across health care services. Journal of health economics, 31(6), 824-841. Godley, W., & Lavoie, M. (2006). Monetary economics: an integrated approach to credit, money, income, production and wealth. Springer. Green, R. K., Malpezzi, S., & Mayo, S. K. (2005). Metropolitan-specific estimates of the price elasticity of supply of housing, and their sources. The American Economic Review, 95(2), 334-339. Parry, I. W., Walls, M., & Harrington, W. (2007). Automobile externalities and policies. Journal of economic literature, 45(2), 373-399. Taylor, J. B. (2009). The financial crisis and the policy responses: An empirical analysis of what went wrong (No. w14631). National Bureau of Economic Research. If you enjoyed reading this post on Economic Prediction and Price Elasticity, I would be very grateful if you could help spread this knowledge by emailing this post to a friend, or sharing it on Twitter or Facebook. Thank you. Absolutely loved this economics post. Can you upload any price elasticity model dissertations? Thanks. Thanks Kerri. You will find more economics dissertations on our main website. We have a handful of dissertation titles written on price elasticity. I can most definitely see your economics expertise within this post. The write up on price elasticity will help me out. Thanks. No problem Marie. Be sure to check out our economics dissertation titles, we have material written on price elasticity.